Omurice is one of the most popular dishes in Japan. 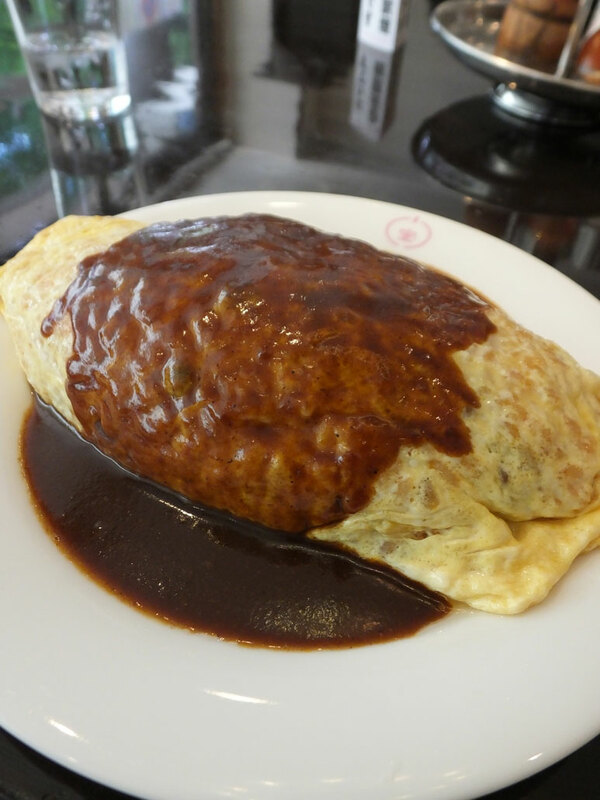 “Omu” means “omelette.” Fried rice is covered with an omelette, and it tastes good! I ate it at Grill Kodakara in Kyoto today.